His statement inspired a lively debate, which Mr. Lee engaged in, weighing in and retweeting commenters on Saturday evening. He has taken issue with Mr. Tarantino’s work before, particularly his use of a racial epithet. “Django” includes at least 100 instances of the slur. In the last week I’ve kept my eye on black media outlets hoping to find critical reviews with some depth. Nothing very interesting yet. I’m sure academics are writing papers. I know that a lot of white people feel ill equipped to judge the cultural sensitivity of the film. 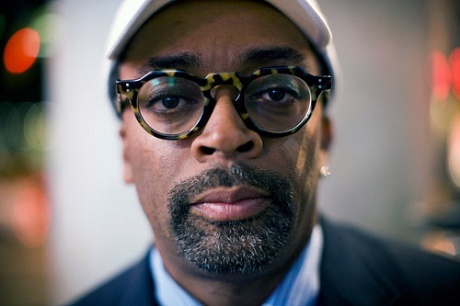 I’m certainly waiting for someone to clue me into why Spike Lee might know something I don’t. But the generality of Lee’s statement seems telling. He’s turning people away from the movie but unwilling to offer a reason. That lack of transparency suggests that he’s dancing around a touchy subject, which slavery certainly is. Then I looked and found that Roger Ebert had declined to review the movie. People don’t want to talk about this. Fox got in a few punches below the belt, and there is a general buzz about the controversy itself, but this is one of the biggest movies of the year and no one seems able to talk about it. Tarantino did what he does best. Make truly American movies. Movies that emerge from and showcase our hypocrisy, brutality, idiocy, and narcissism. If you don’t like what America really is, you might be disturbed. Here’s a very thoughtful critique that helped me better understand how some black people would view the movie. And here’s Luther Campbell of 2 Live Crew fame taking Lee down a few notches.